The Telecom Infra Project (TIP), the Facebook-backed open-source hardware and software group of over 450 telecom stakeholders like Broadcom, Intel, Deutsche Telekom, Vodafone, Telefonica, SK Telecom and Juniper Networks, today announced a new project group that will focus on millimeter wave networks. 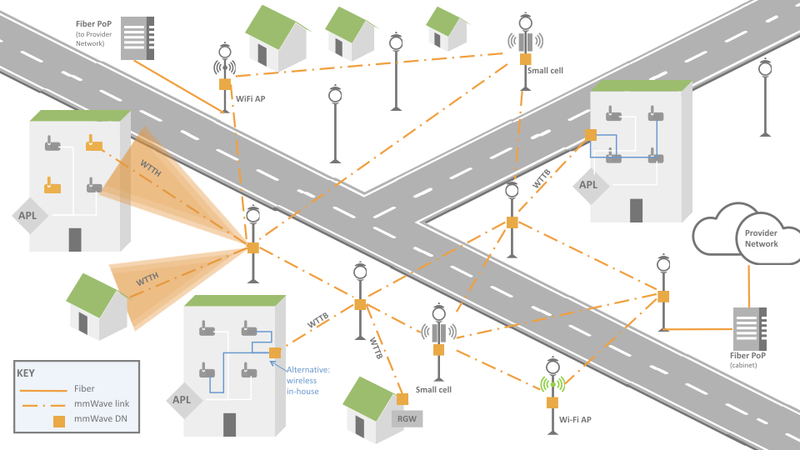 The appropriately named “Millimeter Wave Networks Project Group” (mmWave) will be co-chaired by Facebook and Deutsche Telekom and will focus on bringing more bandwidth to dense, highly populated areas. While TIP started out with a focus on technologies that could bring better connectivity to rural areas, it has recently also launched a number of projects that focused on cities. The mmWave group will work on new networking solutions for the 60GHz band, a frequency that’ll play a major role in the move to 5G networks and that, in the past, was mostly used for military communications. That’s also the same frequency that the Terragraph project uses to cover city blocks with internet connectivity. The mmWave group’s focus is slightly different, but it’s also looking at how to use 60GHz networking to provide wireless coverage in cities for IoT devices. In addition, mmWave is also looking at how to use this tech to offer fixed wireless access to homes and offices as a last-mile solution that’s backed by high-speed cabled networks. You wouldn’t connect directly to the 60GHz network, though, but instead the connection would terminate with a node on a building that then provides Ethernet or Wi-Fi connections inside the building. Similarly, the group is also looking at how its 60GHz systems can be used for mobile backhaul between the carrier’s networks and small cells and Wi-Fi access points. The idea here is that these systems could help the carriers save quite a bit of money because they wouldn’t have to put fiber into the ground.